Birds Bosnia Herzegovina (Croat) Bird stamps from Bosnia Herzegovina (Croat). Bosnia and Herzegovina sometimes called Bosnia-Herzegovina, or simply Bosnia, is a country in Southeastern Europe, on the Balkan Peninsula. Its capital and largest city is Sarajevo. Bordered by Croatia to the north, west and south, Serbia to the east, and Montenegro to the southeast, Bosnia and Herzegovina is almost landlocked, except for the 20 kilometres (12 miles) of coastline on the Adriatic Sea surrounding the town of Neum. In the central and southern interior of the country the geography is mountainous, in the northwest it is moderately hilly, and the northeast is predominantly flatland. The inland is a geographically larger region and has a moderate continental climate, bookended by hot summers and cold and snowy winters. The southern tip of the country has a Mediterranean climate and plain topography. Bosnia and Herzegovina is a region that traces permanent human settlement back to the Neolithic age. Culturally, politically and socially, the country has one of the richest histories in the region, having been first settled by the Slavic peoples that populate the area today from the 6th through to the 9th centuries AD. They then established the first independent banate in the region, known as the Banate of Bosnia, in the early 12th century upon the arrival and convergence of peoples that would eventually come to call themselves Dobri Bošnjani ("Good Bosnians"). This evolved into the Kingdom of Bosnia in the 14th century, after which it was annexed into the Ottoman Empire, under whose rule it would remain from the mid 15th to the late 19th centuries. The Ottomans brought Islam to the region, and altered much of the cultural and social outlook of the country. This was followed by annexation into the Austro-Hungarian Monarchy, which lasted up until World War I. Following the dissolution of the Socialist Federal Republic of Yugoslavia, the country proclaimed independence in 1992, which was followed by a bloody war, lasting until late 1995. Today, the country maintains high literacy, life expectancy and education levels and is one of the most frequently-visited countries in the region. Bosnia and Herzegovina is regionally and internationally renowned for its natural beauty and cultural heritage inherited from six historical civilizations, its cuisine, winter sports, its eclectic and unique architecture and the Sarajevo Film Festival and Sarajevo Jazz Festival, both the largest and most prominent of their kind in Southeastern Europe. The country is home to three ethnic groups or, officially, constituent peoples, a term unique for Bosnia and Herzegovina. Bosniaks are the largest group of the three, with Serbs second and Croats third. Regardless of ethnicity, a citizen of Bosnia and Herzegovina is often identified in English as a Bosnian. The terms Herzegovinian and Bosnian are maintained as a regional rather than ethnic distinction, and the region of Herzegovina has no precisely defined borders of its own. Moreover, the country was simply called "Bosnia" (without Herzegovina) until the Austro-Hungarian occupation at the end of the nineteenth century. 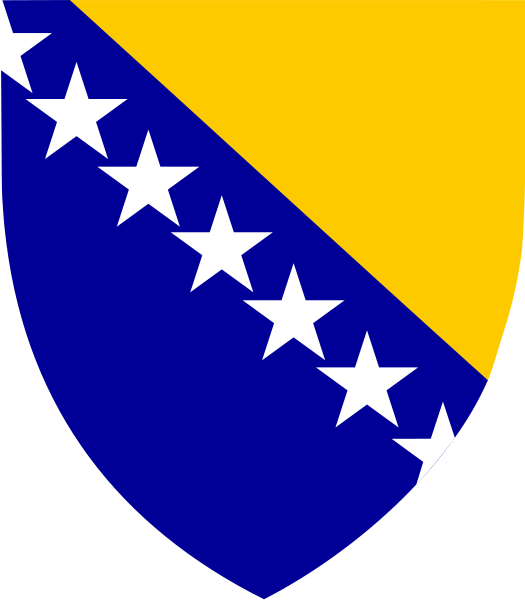 Bosnia and Herzegovina has a bicameral legislature and a three-member Presidency composed of a member of each major ethnic group. However, the central government's power is highly limited, as the country is largely decentralized and comprises two autonomous entities: the Federation of Bosnia and Herzegovina and Republika Srpska, with a third region, the Brčko District, governed under local government. The country is a potential candidate for membership to the European Union and has been a candidate for NATO membership since April 2010, when it received a Membership Action Plan at the summit in Tallinn. Additionally, the country has been a member of the Council of Europe since April 2002 and a founding member of the Mediterranean Union upon its establishment in July 2008.